Do you think that being close to your grandparents is an important thing? For many families grandparents represent the very pillars of the community because they provide vital help in raising their grandchildren. Maybe the reason is that the parents have long working hours or they can´t spare enough time for their children. 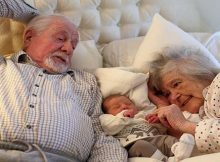 The point is that, according to the studies, this bond that unites grandchildren with their grandparents has been proven good for the health of our spoiled elderly. 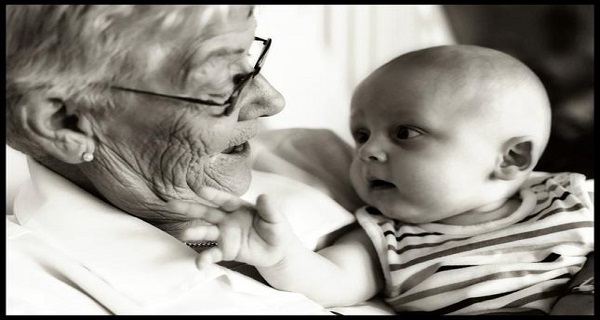 Find out why it is so important that the grandparents are close to their grandchildren. According to a study carried out by the North American Menopause Society, the elderly can prevent cognitive impairment and chronicle diseases such as Alzheimer or senile dementia, if they look after their little ones at home. They gathered this information from 186 Australian women aged 57-68, who did several tests of mental acuity. The best results were scored by 120 women who claimed they spent at least one day a week looking after their grandchildren. It seems that this activity requires certain physical exhaustion and sensitive demands, which has positive effects on mental processes. its provided by the grandparents, their influence on children must be moderate, given that if it exceeds the average, the results could be completely the opposite. This study has shown that grandmas, who looked after their grandchildren 5 days a week, or more, had more difficulties doing the tests, since the physical exhaustion was obvious. Children represent a source of satisfaction for the grandparents, given that they are not under a great deal of stress provoked by the upbringing, like parents are. They only need to focus on having fun and filling their grandchildren´s lives with joy. This releases endorphins, makes them feel useful and keeps their brains in good shape.